Daniel Blackburn was arrested with outstanding warrants and possible abduction according to KPD spokesperson Doug Stout on February 15, 2018. He said that KPD got a 3rd party tip that a woman was being held against her will at a trailer park. They tracked down what trailer park and what trailers were vacant. Searched both trailers in Tall Timbers finding him and a woman. The windows were boarded and the door had furniture against it. The woman said that she had been held against her will for the past 2 weeks. 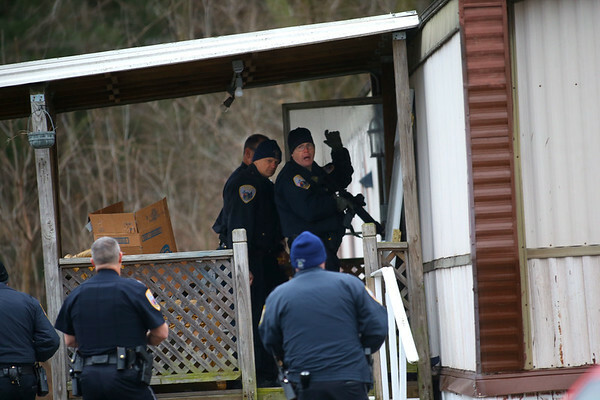 Last minute instructions are passed on as police yell "police" before entering trailer 9.